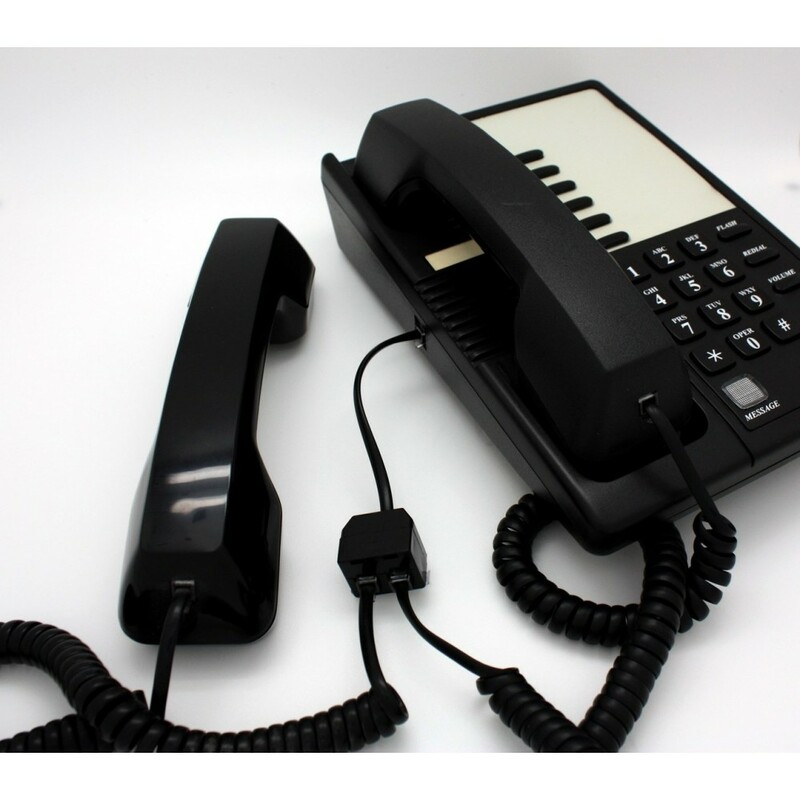 This Telephone handset Y Splitter allows you to add a second handset to any cord phone system. - Splitter length is 5.75 " (14.5cm), cable length is 4.5"
- Is this jack compatible with my phone? 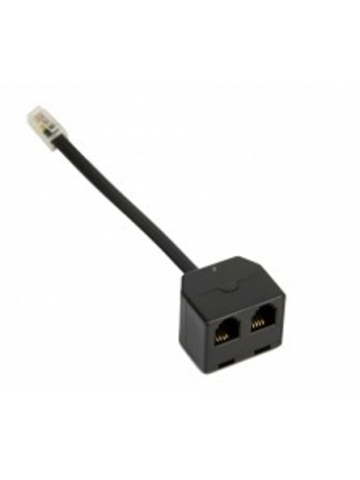 This jack is compatible with 99.99% of all the telephone systems that have a cord handsets. 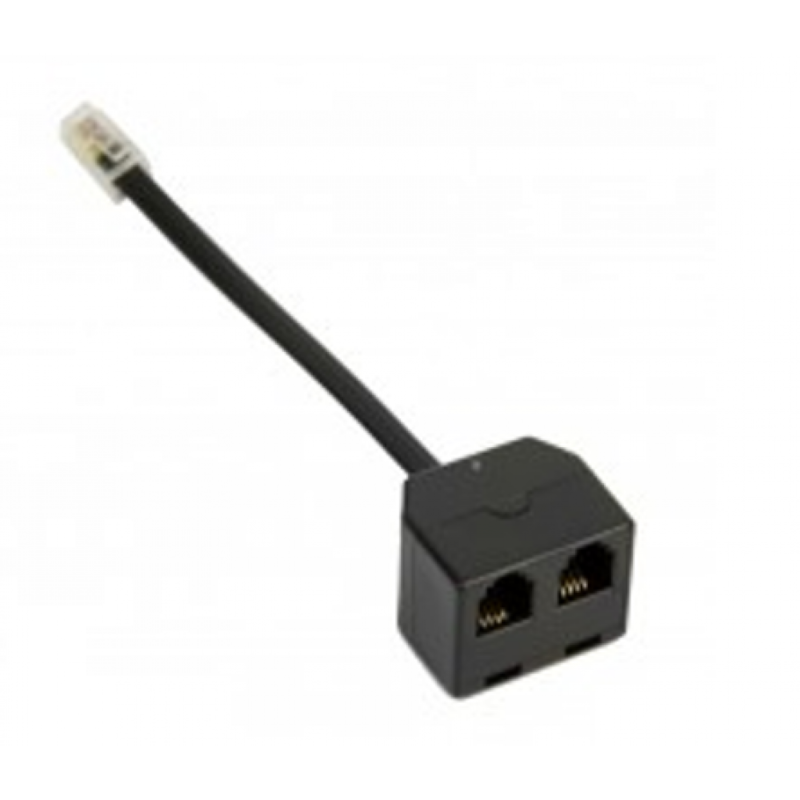 Even proprietary digital telephone systems use analog signaling on their handsets so this splitter will work on those as well. However, if you wish to mute of of the handsets, there are some CISCO phone systems that invert the TX & RX pairs. If so and you wish to use this splitter with a second handset muted, you will need to cut the RX pairs instead of the TX pair. - Can I MUTE one of the handsets (for listening mode only)? By default, this Y splitter comes wired to allow both handsets can listen and talk. 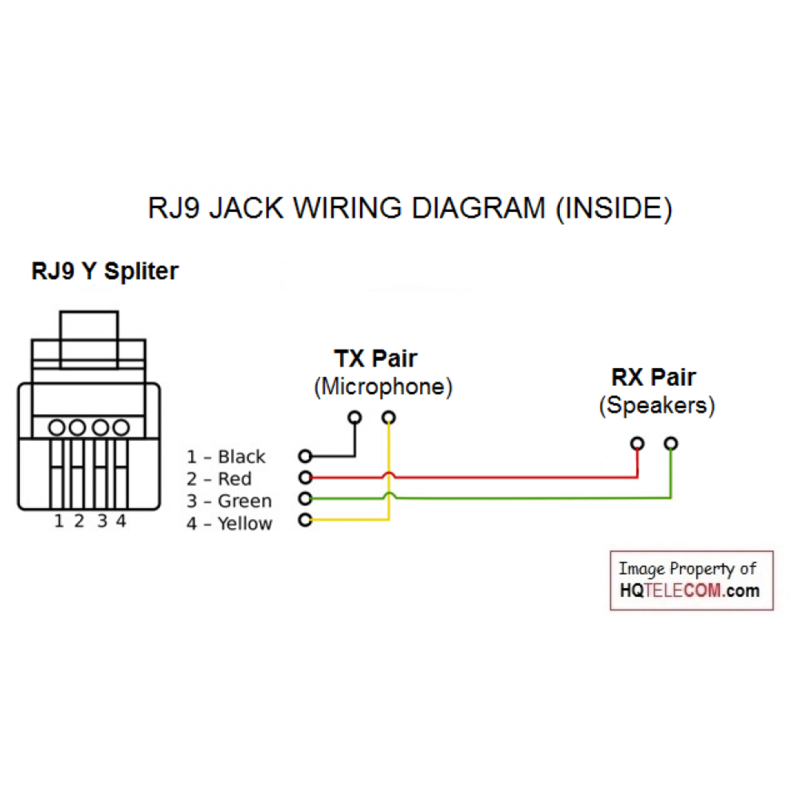 However, if you prefer to have one of these jacks muted, you could do so by simply opening the black enclosure, and cutting the 2 wires (TX pair - Yellow & Black wires). This will take a bit of work, but it can be easily done. For full instructions, please visit our blog.